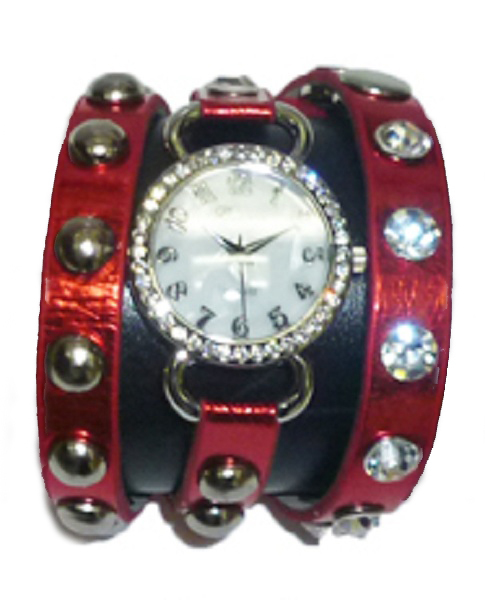 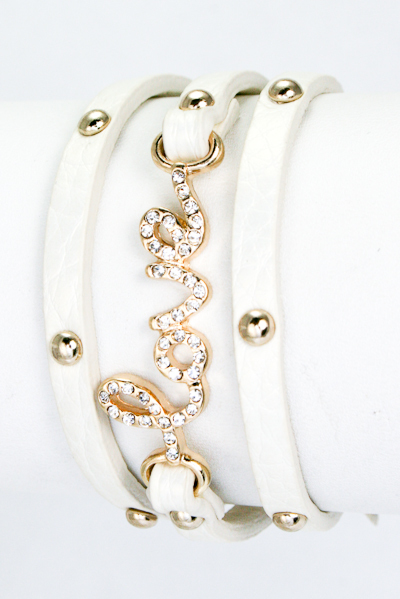 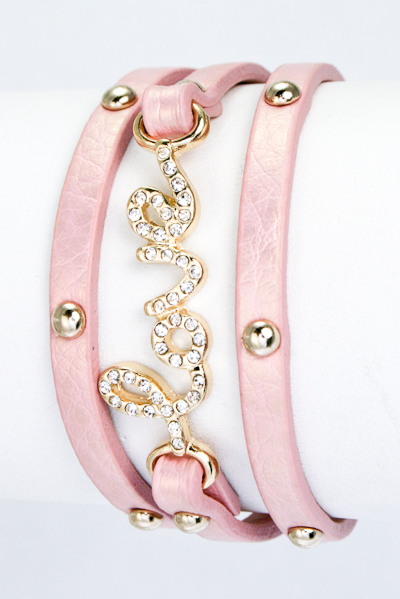 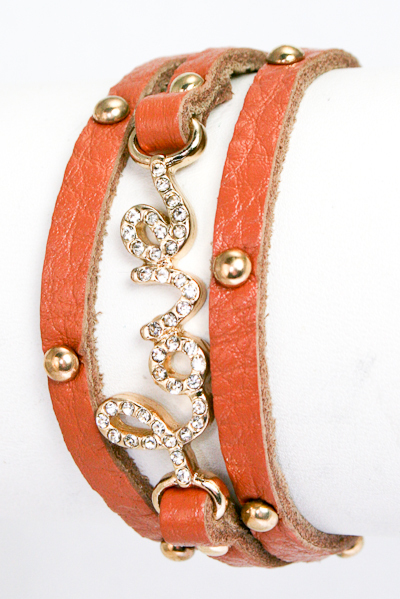 Synthetic leather wrap bracelet with crystal lower-case love script, adjustable buckle closure, and gold studs. 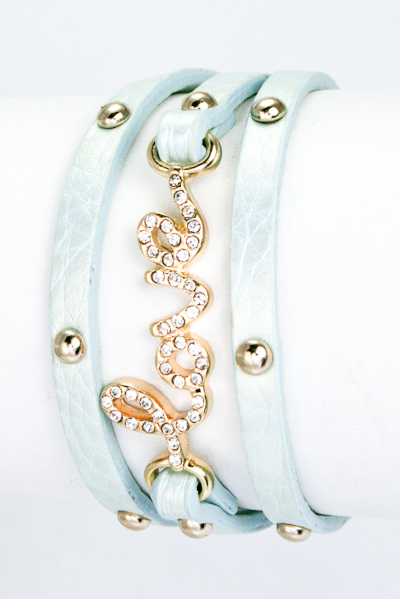 Available in Mint, Pink or White. 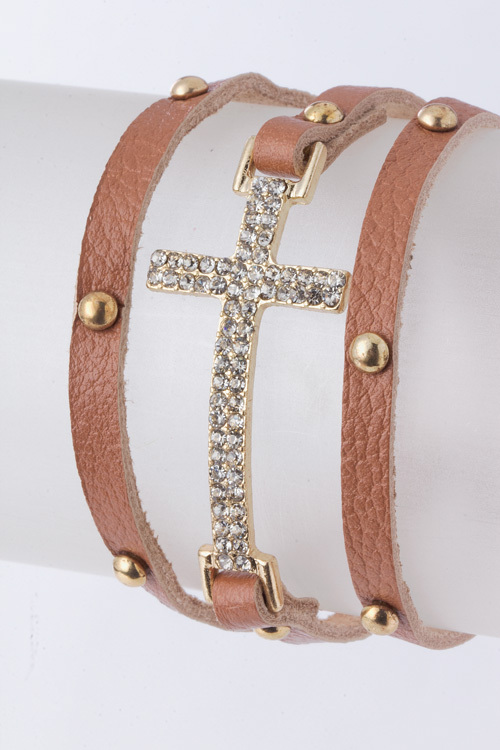 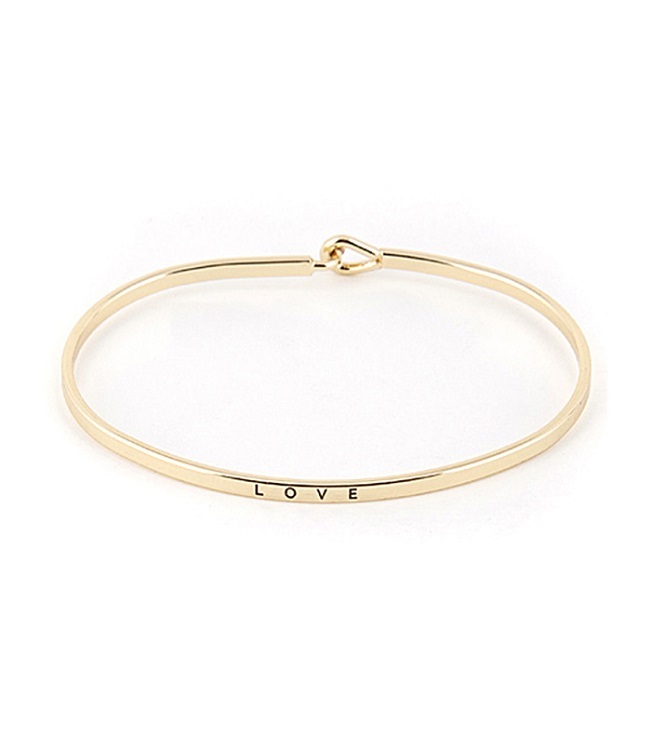 See also Studded Crystal Love Wrap Bracelet.